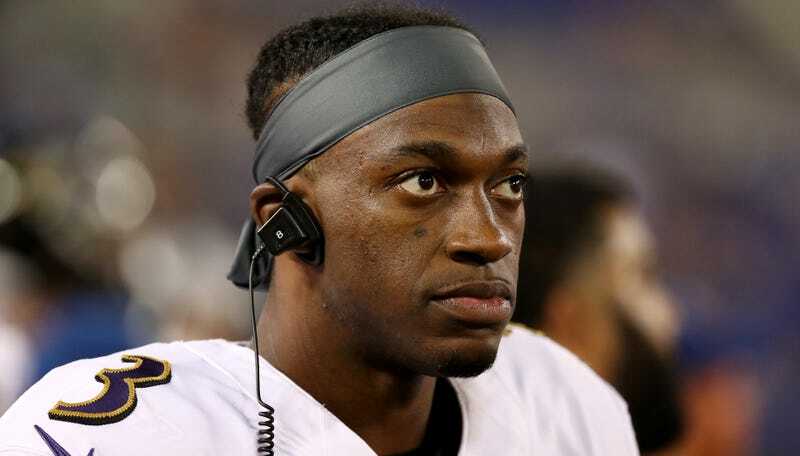 On Friday, NFL agent Ben Dogra filed a breach of contract lawsuit against Ravens backup Robert Griffin III, alleging that Griffin owes Dogra exactly $658,975.57. The complaint—which you can find below and was first reported on by Yahoo Sports—alleges that Griffin continually shorted Dogra on his 15 percent cut of endorsement deals, before ceasing payment altogether once he and Dogra cut ties in 2018. Dogra says he and Griffin reached an oral agreement in 2012 that entitled Dogra to a 15 percent cut of all “marketing and endorsement agreements” that were “entered into or substantially negotiated” by Dogra. According to the agent, Griffin fell well short, repeatedly. Griffin has not publicly commented on the lawsuit, though he did post a pair of not-so-cryptic tweets this morning.